3M Masking Tape 2308 is a rubber adhesive for instant adhesion that sticks easily and helps reduce labor. It has good holding power to help resist lifting or curling. Crepe paper backing is conformable to maintain integrity when formed around a corner. It is ideal for easy tear, hand tearable, good paint hold-out that resists bleed-through and controlled unwind. Dispenses evenly and is less likely to tear off roll. 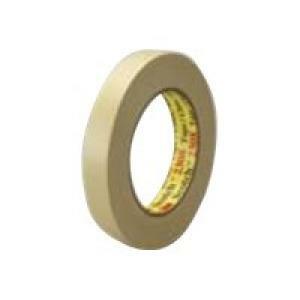 Performance masking tape for holding, bundling, sealing and general paint masking.